We can help larger groups with their catering, with sample menus ready prepared so you can select your options and have them delivered ready to heat up, or we can help prepare a bespoke menu that can be provided with or without service. All the food is prepared by Penny Johnstone, an experienced chef, who is passionate about sustainability of food and buys local produce whenever possible. She has a large vegetable garden so vegetables and fruit will often be from there when in season. All meat is sourced from her local farmshop. If you are interested just give us a call to discuss your requirements – 01633 400581. 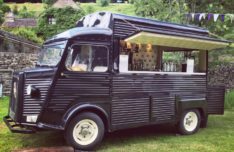 Bar de Cru is a luxury mobile cocktail bar which has been lovingly crafted from a 1981 Citroen H van. They offer bar hire services for all types of events and are flexible to your wants and needs. If you have any unusual requests they are only too pleased for you to ask! Bar de Cru’s private mixologists are more than happy to create custom cocktail menus prior to the event and arrange for you to learn the drinks when they are on site. Whatever your event or celebration, the Bar de Cru team will aim to make your day a truly memorable one. 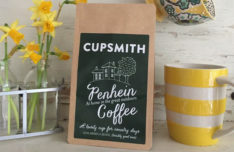 The company is based in Oxfordshire, but travel all around the country and so a trip to Penhein is no problem for them!  If you are joining us as a group we can supply beers and ciders from Apple County and Baa Brewing in kegs and boxes. More economical and eco frendly than individual cans and bottles, we can easily arrange this on pre-order for you. If you are interested, please contact us for further information at enquiries@penhein.co.uk or on 01633 400581. 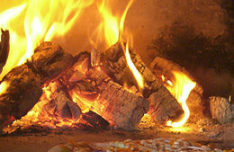 Park Farm Pig Roasts is a family owned and run farm close to Monmouth in the beautiful Wye Valley. 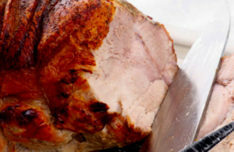 Their delicious home reared pork comes from their own Gloucester Old Spots and Tamworth pigs – renowned for their flavour and quality. The pigs live in the woods, and as well as foraging for themselves they eat root crops grown on the farm and barley and cereals. 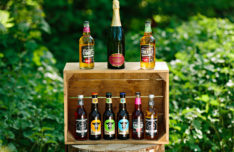 Park Farm can also provide lamb or venison and will gladly cater for vegetarian guests with imaginative alternatives. Penhein loves working with local suppliers so we are thrilled that Park Farm Pig Roasts bring their wonderful service to our site. 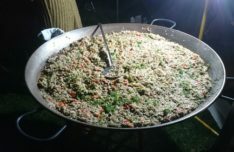 Why not arrange for a giant bowl of gorgeous Paella for all your group to tuck in to? Available in a variety of flavours including a delicious vegetarian option and a seafood option, give the friendly team at Park Farm a call to discuss some ideas for your group. For groups of 15 or more, Penhein offers a wonderful breakfast service for special occasions. Set up in the communal tent at a time to suit you, the menu includes croissants and pain au chocolat, hot from the oven, toast, butter and a selection of spreads, cereals, yoghurts and fresh fruit salad, English breakfast tea and cafetiere coffee, herbal teas and fruit juices. We can also cater for special requests. Once you have finished breakfast you can go and enjoy your day and we will clear up for you! £10 a head, subject to availability. Stock up on ready-to-go goods, treat yourself to something sweet, or top up your kitchen supplies during your stay. The Penhein Pantry offers a selection of delicious food and drink for our guests to enjoy. With all but a few exceptions, everything is sourced locally or homemade here on the farm. Pre-order from the Pantry ahead of your stay and it’ll be in your tent when you arrive. 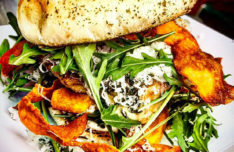 Wild & Rustic is a pop-up catering company based in the South West. With a passion for wild foods, they create culinary delights, inspired by the rural countryside and share their love through street food and private events and venues, such as here at Penhein. 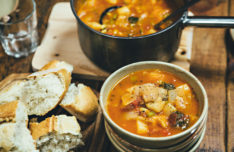 Wild and Rustic is passionate about providing a unique event catering experience, with the ability to create different and interesting menus, inspired by British countryside cookery with hints of Italian flair. Go to their website to find out more. We are always pleased to welcome them to Penhein! Specialising in hand made Neapolitan style pizzas, freshly cooked in a wood burning Italian pizza oven, Dough To Go are definitely on our must try list. Sourcing fresh, local produce, they aim to ensure that every pizza they make is packed full of flavour. Using a large professional traditional Italian pizza oven they bring with them on site, they are able to hand make and cook your pizza to order within minutes, and with over 30 years of catering experience, they reckon they know a thing or two about good food. They have served guests at Penhein before and we are always happy to welcome them back! Hop along to a fun family trail around Chepstow Castle! Be first to hear our offers and late availability!